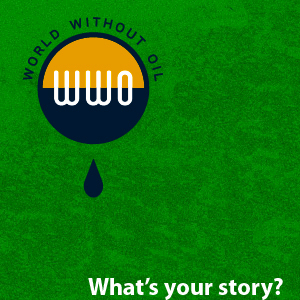 Log in to "World Without Oil," a free alternate reality game that taps our collective ingenuity to stop a plausible crisis before it happens -- or at least prepare a post-Katrina nation to deal better with a disaster. This is the alternate reality game that will change reality," Eklund said. "People are realizing that (an alternate reality game) is not only a viable way to teach and entertain people, in many ways it's better than book learning." Organizers hope tech savvy players will blog, make YouTube videos and post audio clips and photos. Most challenging for organizers will be harnessing the collective brain power so it doesn't explode into chaos.To provide cohesion, eight characters will be game masters for the virtual crisis. Players drop in at any time to offer their thoughts about dealing with issues they might encounter, from soaring prices to trying to commute. "We're asking people to come and write the story, and that's mainly because the subject is too big for any small group of people," Eklund said. "The No. 1 challenge is that people's imagination is so great," Eklund said. "We're going to be running as fast as we can to keep up with people." Expect growing demand for games like "Oil," said Jane McGonigal, a Berkeley futurist and game designer for the Institute for the Future in Palo Alto. 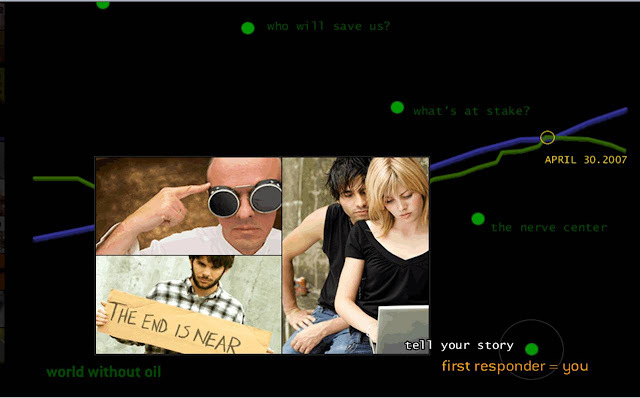 Beyond its social resonance, "Oil" illustrates what Web 2.0 is all about, said McGonigal, an "Oil" collaborator. "Web 2.0 is all about participatory culture," she said. "Nobody's just receiving content; everything is collaborative, including content and analysis." Web 2.0 draws it together, and so does "Oil," she said. "Oil" players visit the Web site and plunge into a drama orchestrated by Eklund. "I was looking for an issue that affected everyone," he said. Hurricane Katrina and its devastating aftermath, which produced a surge in gasoline prices, fueled "Oil." "Katrina definitely left me with the impression that in times of crisis you need to have your own resources," he said. "You can't depend on a helicopter swooping from the sky to save you. You better have a plan you can rely on. 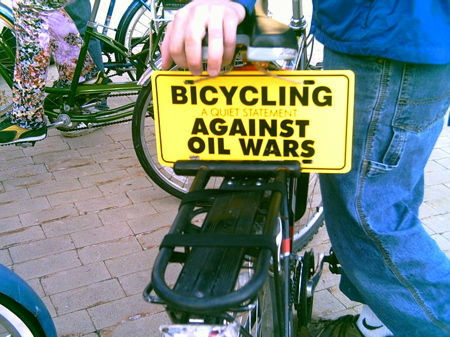 ... Oil just fit the bill because it is the oxygen of our country." 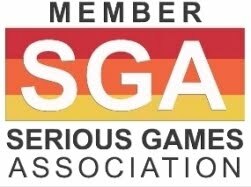 The resulting game community will likely return to the real world to evaluate and possibly cut consumption, he said. Regardless of outcomes, the game sidesteps political posturing and finger pointing. "Oil" was funded through a Corporation of Public Broadcasting grant. Educators wanting to keep pace with Internet-age students have expressed interest in using "Oil" in class. "I can't tell you how many educators and nonprofit organizers I've talked to who see this as the next generation's type of curriculum," McGonigal said. The game's topic and interactive nature sold Jeff Towey at Richmond's Making Waves. He plans to have his after-school students participate. 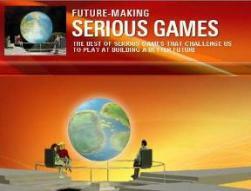 He is particularly intrigued by how reality games can cover academic subjects, from science to English. What distinguishes "Oil" from other Serious Games is that it is an alternate reality game aimed at benefiting the public, McGonigal said. HOW CAN A GAME HELP US PREPARE?